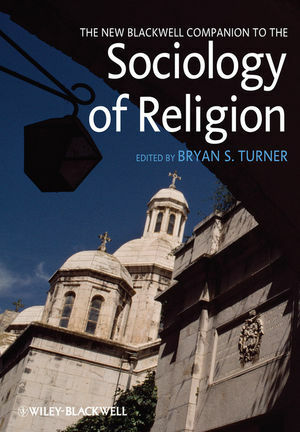 Reflecting the very latest developments in the field, the New Companion provides a comprehensive introduction to the sociology of religion with a clear emphasis on comparative and historical approaches. Bryan S. Turner is the Presidential Professor of Sociology at the City University of New York Graduate School and Director of the Committee on Religion and Director of the Centre for the Study of Contemporary Muslim Societies at the University of Western Sydney, Australia. He was Professor of Sociology at the University of Cambridge and subsequently Professor of Sociology in the Asia Research Institute, National University of Singapore. Professor Turner was an Alexander von Humboldt Fellow at Bielefeld University, Germany, a Fellow of Fitzwilliam College, Cambridge University, the Alona Evans Distinguished Visiting Professor at Wellesley College, and a Fellow of the Australian Academy of Social Sciences. He recently published The Body and Society, third edition (2008), and edited The New Blackwell Companion to Social Theory (2009).